In one assault on fishers, the navy first sprayed machine-gun fire at a fishing trawler one kilometer off Gaza’s northern coast for about fifteen minutes, then firing a missile which set the boat aflame. The fishers jumped overboard and were saved, but the boat was not. Gutted by flames, the vessel was destroyed, and along with it the livelihoods of the eight or so fishers who regularly worked on the boat. Half an hour into my first venture out with fishers, in November 2008, an israeli gunboat charged us, swerving at the last minute. Intimidation. The fishers scrambled to reel in their nets. 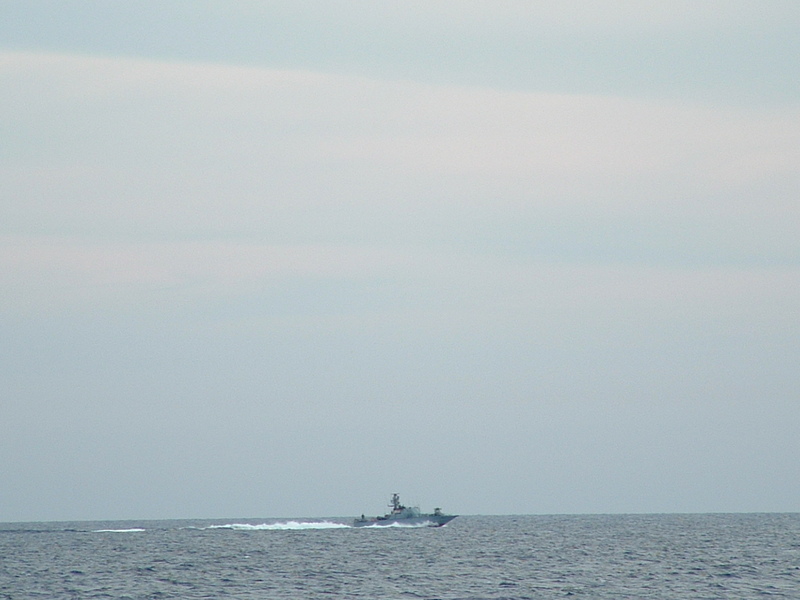 Soon after, another gunboat sped towards us, water cannon firing. Our trawler managed to escape before the dousing. This minor harassment pales in comparison to the repeated assaults that usually occur when fishers try to fish even a few miles off the coast. Under the Oslo accords, Palestinian fishers have the right to fish 20 nautical miles out, but under Israeli rule six miles is the limit. Often, when the fishers are attacked at sea, it is repeatedly as the Israeli navy follows them from one location to the next, rendering their fishing efforts largely fruitless. Fishers are routinely abducted, their boats stolen by the navy. If the boats are returned, it is inevitably after many months, and stripped bare of nets and equipment. The process of abducting fishers usually plays out as such: one or more israeli gunboats attack the fishing trawler (or the small, rowed boats common in Gaza) with machine-gun fire and/or shelling; the navy orders the fishers to strip down to their underwear, dive into the water, and often makes the fishers swim or tread water for extended periods, regardless of the temperature of the water. Fishers are then hauled aboard, abducted to a detention centre, and interrogated on anything but fishing. Farmers who attempt to access their land, be they elderly or children (male and female), are routinely targeted by israeli soldiers. 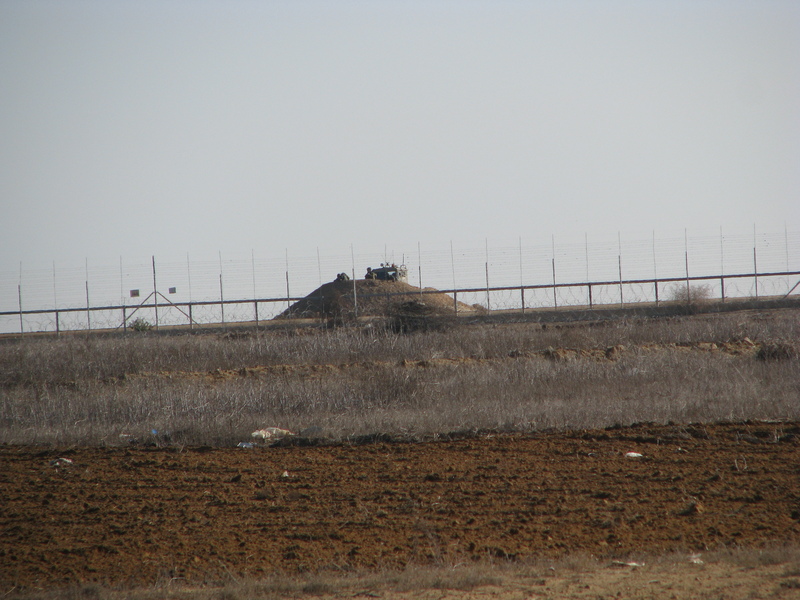 A 50 meter “buffer zone” established unilaterally by israeli authorities on the Gaza side in the mid-90s, has over the years been expanded to the current 300 metre “buffer zone.” In reality, the actual policy is one of attacking Palestinians as far as two kilometres from the border. 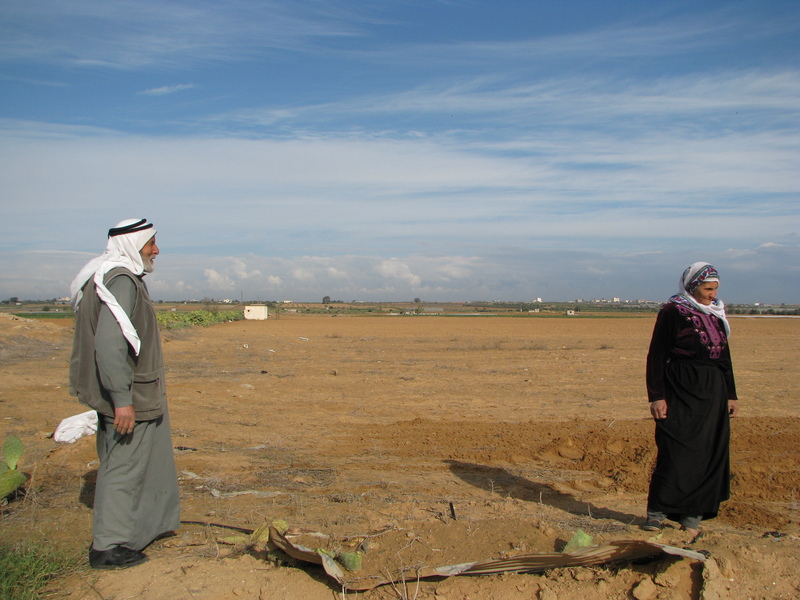 This off-limits area steals roughly one third of Gaza’s agricultural land, land which happens to be some of the most fertile soil in the Strip. 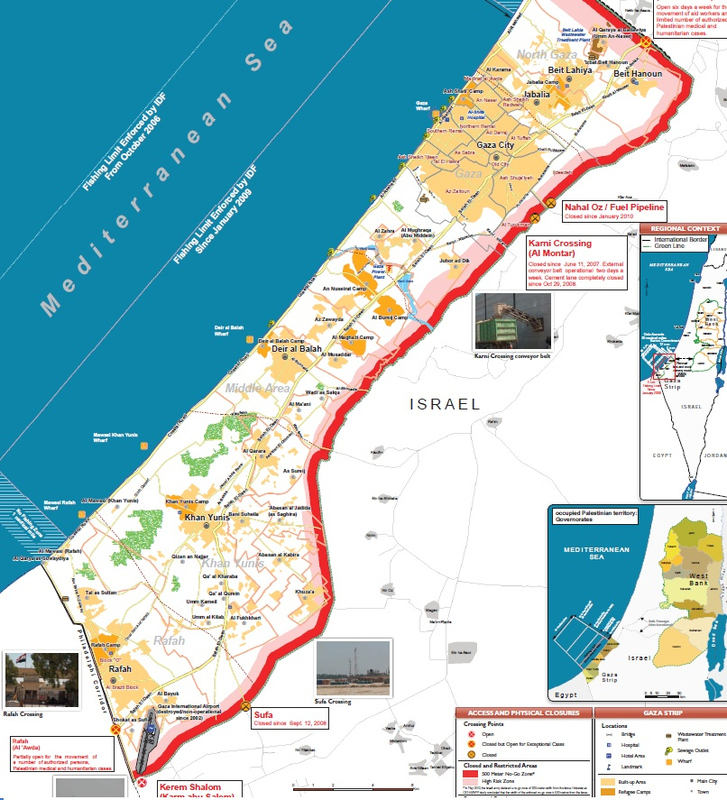 This is an area formerly known as Gaza’s “bread-basket” for the many olive, fruit and nut trees, wheat and rye, lentils and chickpeas, and various vegetables and fruit that once grew abundantly on these lands. 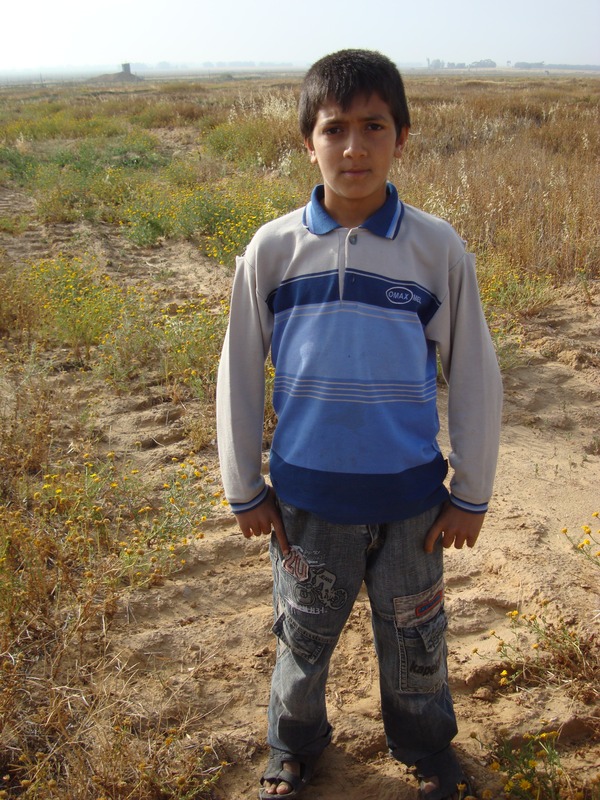 Now, in the name of “security,” every week or two, armoured bulldozers accompanied by tanks, flatten swaths of farmland, even beyond the israeli-imposed 300 metre limit. We accompanied farmers planting wheat or harvesting their crops, often low-growing crops like parsley or lentils. While doing this, they routinely come under fire from israeli soldiers in jeeps or shooting sniper-style from dirt mounds along the border fence. Some of the farmers are paid labourers, earning the equivalent of five dollars a day, at best, which they contribute to their families’ incomes. Others are grandparents, grandchildren, working land their families have farmed for generations. 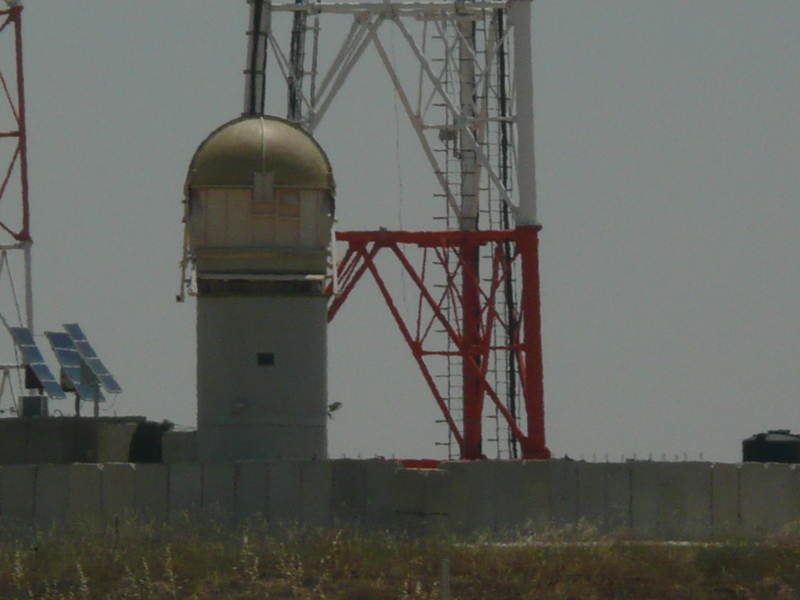 Military gun towers are spread along the length of the border, including remotely-controlled towers with swiveling machine guns fired by soldiers with joysticks in control rooms kilometres away. Our policy was to stand with arms raised and visibly empty of anything that could be construed as threatening, and to stay in place until the farmers wanted to leave. It was about farmers reclaiming land they are being forcibly pushed off of by the israeli policies and shootings. We wore only a thin fluorescent vest, and most of us carried still or video cameras to document the aggression. 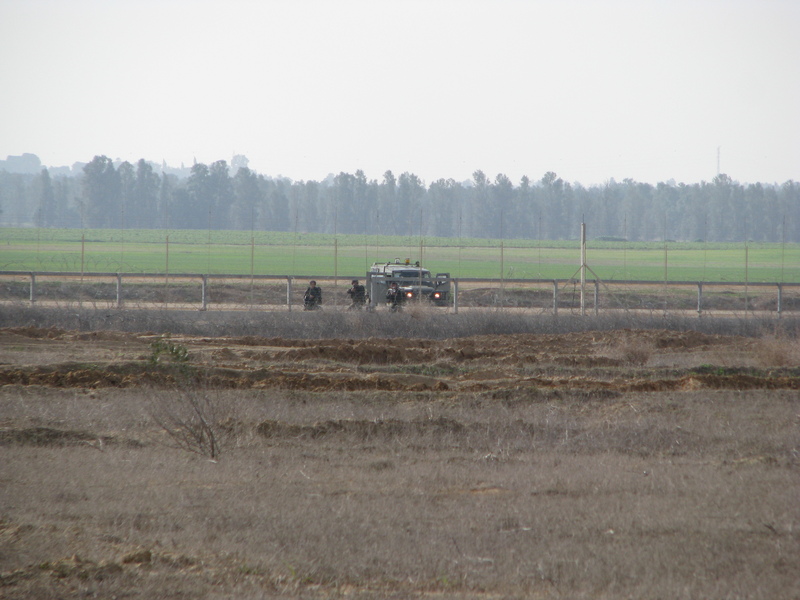 When the soldiers shoot, it is often after surveilling farmers for extended periods. In one such instance, the army watched us working on land over 500 metres from the border for two hours, choosing the moment when the farm labourers were pushing a stalled pickup truck full of parsley to begin sniping at them. Although we stood in front of the farmers, between them and the soldiers, the latter shot around us, hitting a seventeen year old deaf farm labourer in his calf. 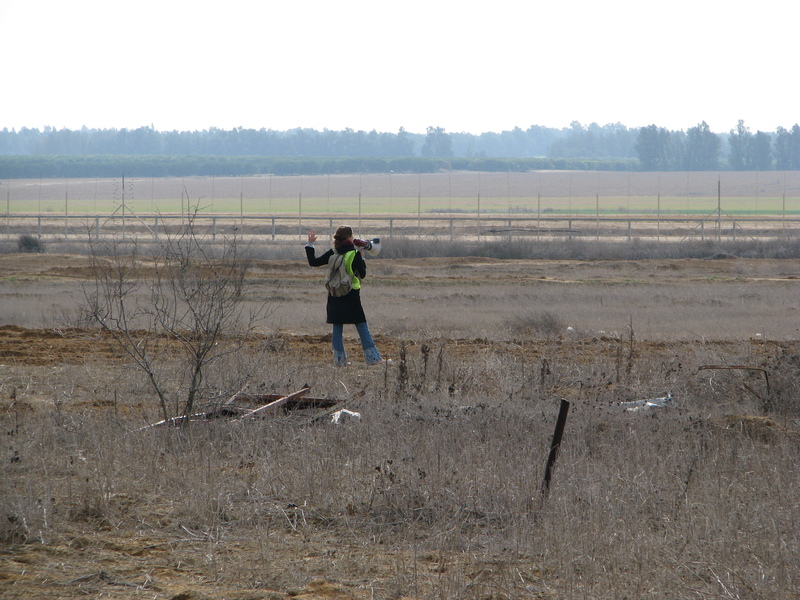 In another instance, we came under heavy fire for over 40 minutes from Israeli soldiers roughly 500 metres away. 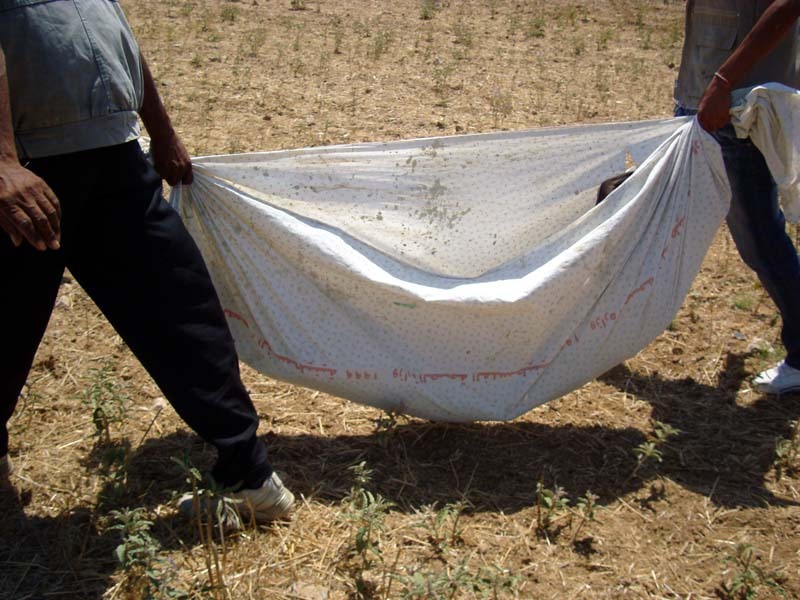 The farmers lay flat on the ground, with no cover to protect them. 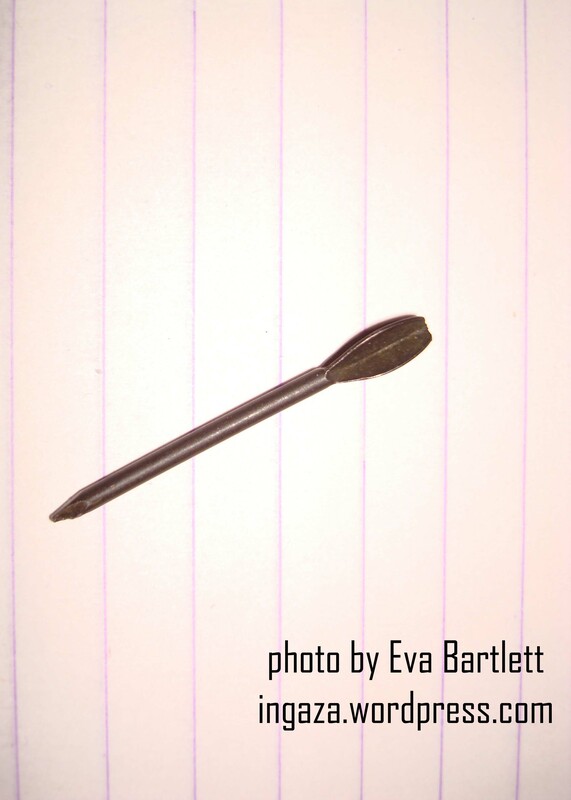 We stood, bullets flying within metres of our hands, heads, feet. The Canadian embassy called me to say they would do nothing and that humanitarian workers should be aware of the Israeli security policies in Gaza’s border regions. 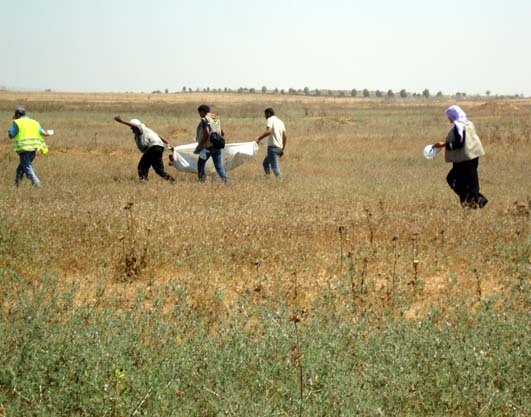 On June 14, 2009, we joined Palestinian volunteers in Gaza’s northern region of Beit Hanoun to search for the corpse of a young man gone missing two months prior. 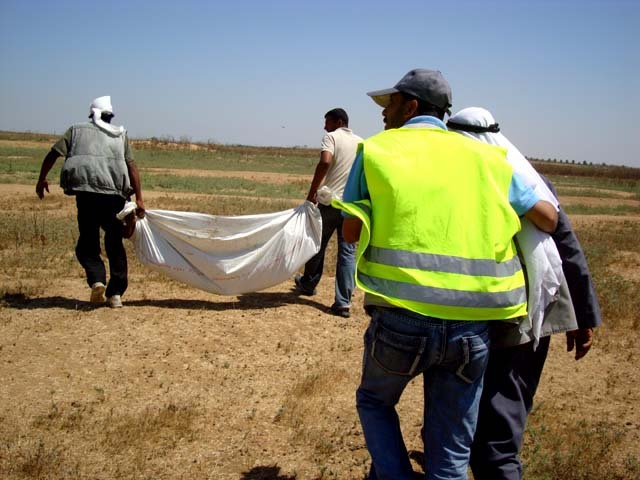 A shepherd in the area had reported having smelt what seemed to be a dead body in the northeastern region near the border fence. 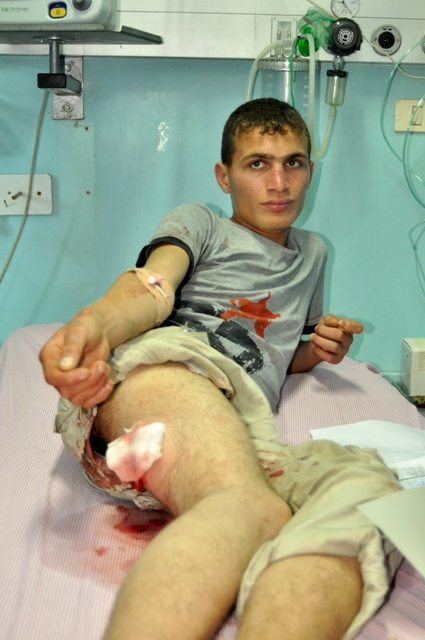 As we walked in a line, combing the ground for the body, israeli soldiers began firing on us. The dead man’s father walked with us, ducking with each shot fired our way. The bullets came closer and more quickly as we located the badly decomposed body, loaded him onto a sheet, and hauled him away, the father wailing. 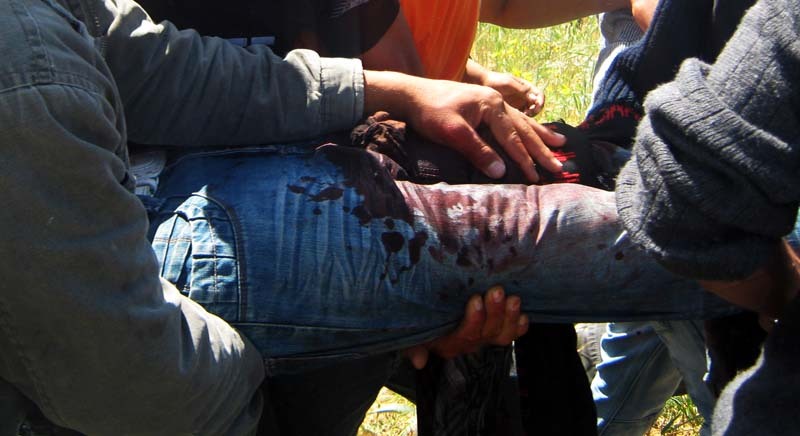 The israelis deny Palestinians even the dignity of recovering the bodies of their loved ones. 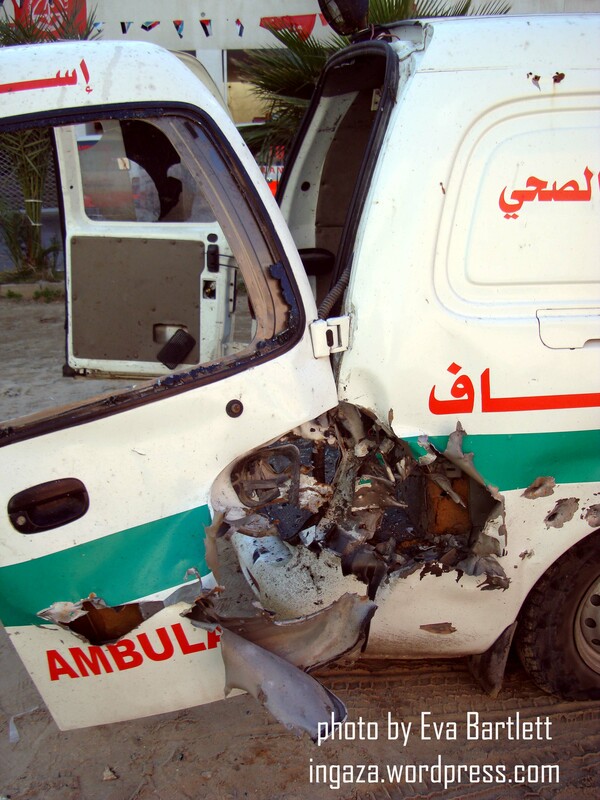 During the 2008-2009 war on Gaza which killed at least 1419, we volunteered with the Palestinian Red Crescent, riding in their ambulances and documenting the atrocities and war crimes. In the first few minutes of attacks, israeli warplanes targeted police stations in densely populated areas throughout the Strip. 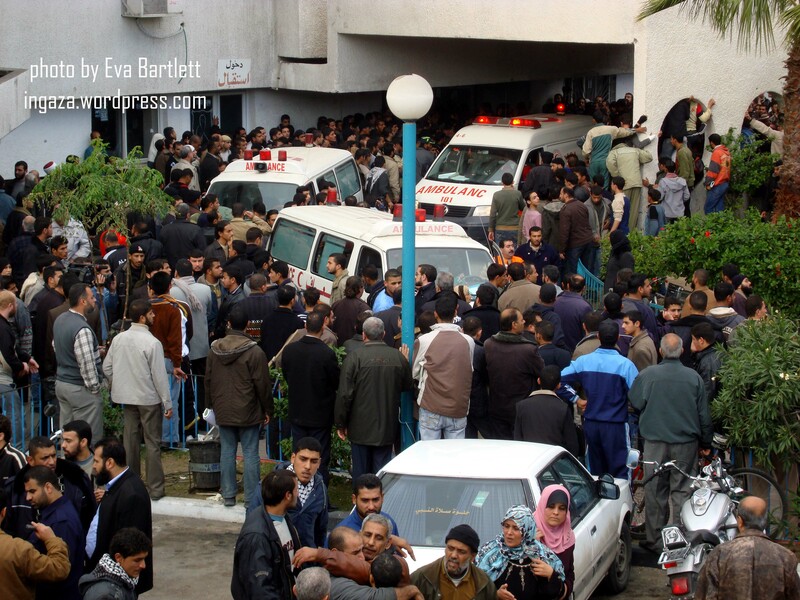 Shifa Hospital, Gaza’s main hospital, was a chaotic mass of people seeking out loved ones and bodies all over the place. The floors of were covered with people of varying degrees of severity, waiting for treatment, including in the under-equipped ICU. 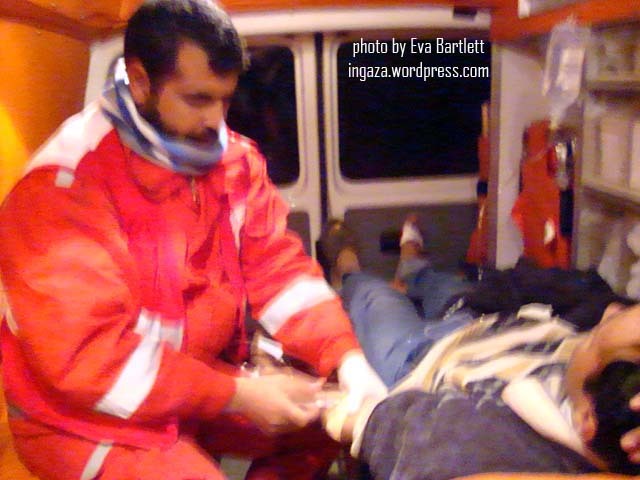 Ambulances and cars screamed past in an endless stream, dropping off the injured, the dead. 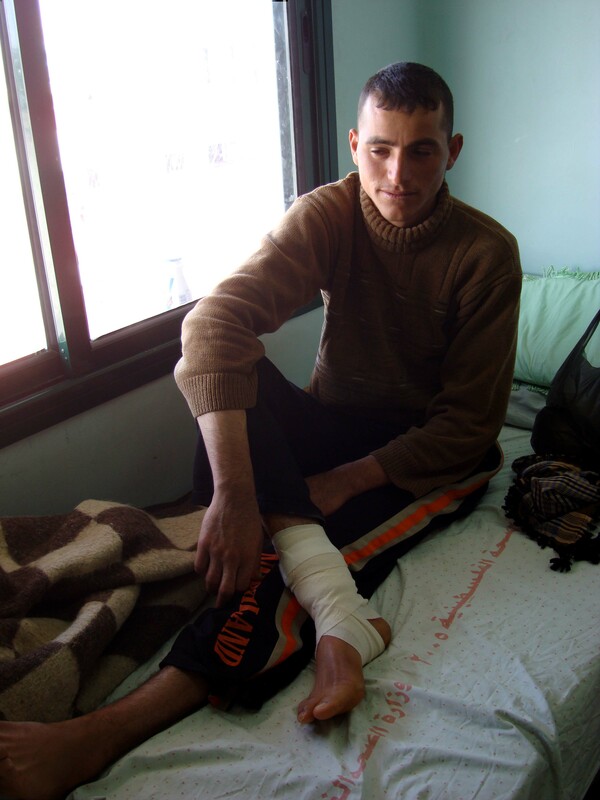 During the course of accompanying the medics I saw people horrifically burned and maimed by white phosphorous used in various locations throughout Gaza. 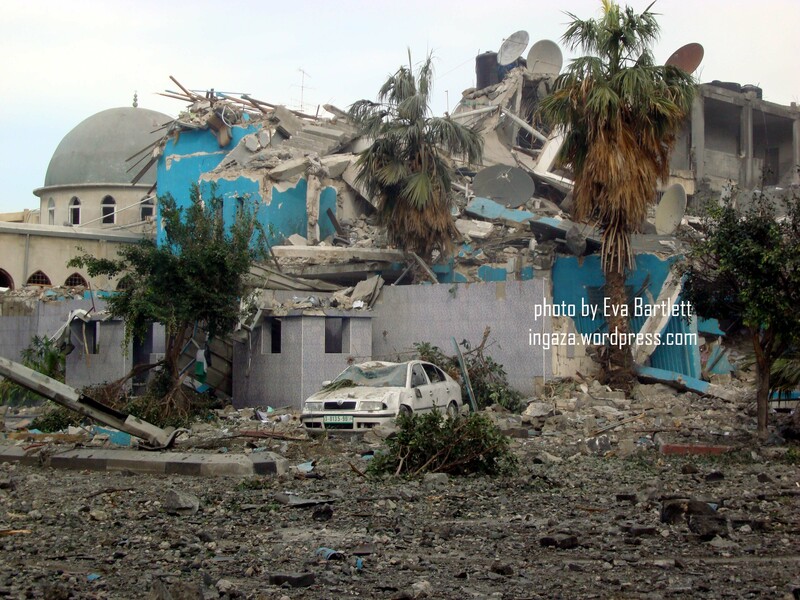 The most infamous was the bombing over Fakhoura, the UN school, then a sanctuary for internally-displaced. 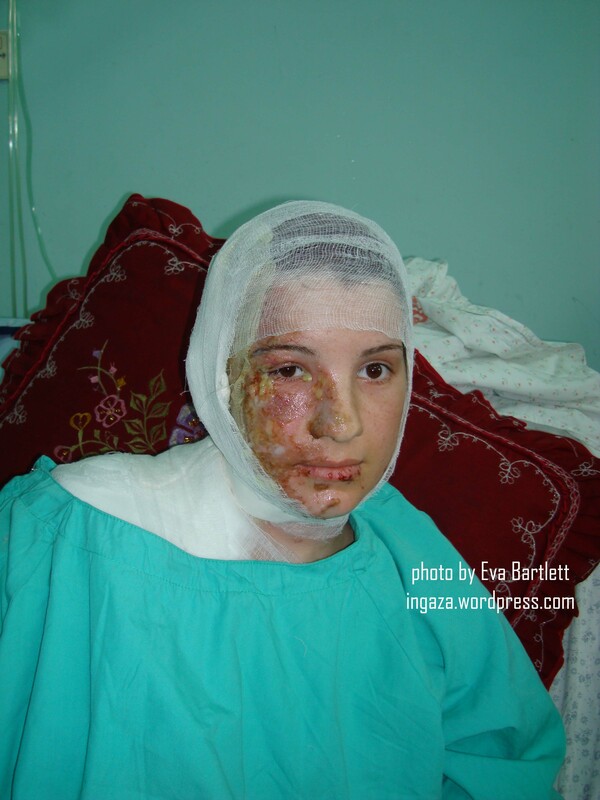 When white phosphorous rained down on the school, 42 civilians were killed and many more horrifically maimed by the chemical weapon. 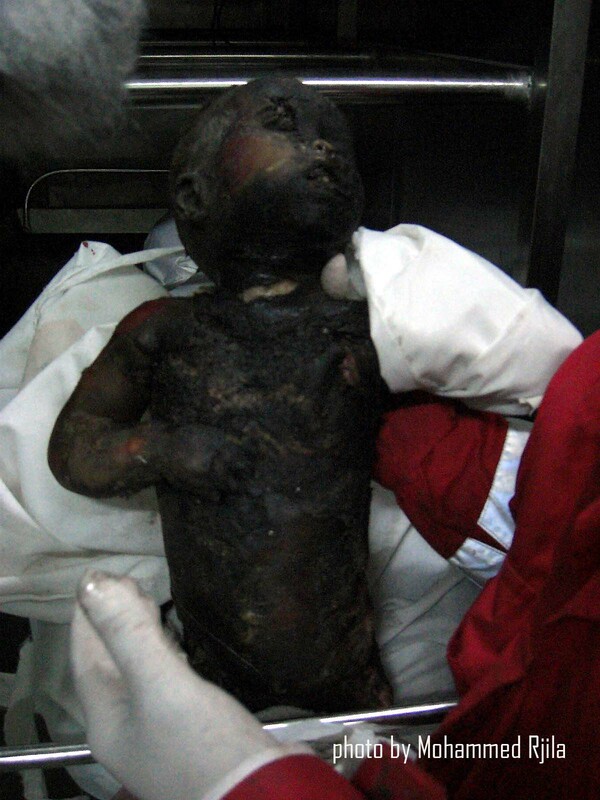 White phosphorous burns until deprived of oxygen. I also saw terrified civilians who had been kept hostage by the army, denied food, water, medicines, and in many cases terrorized. People streaming from areas all over northern Gaza, on foot, under the bombs, seeking safety where none is to be had. And victims of drone strikes: the army employs the “double-tap” bombing method: strike an area and strike again within minutes, precision-bombing those who’ve come to help victims of the first strike. I will never forget the shrill wailing of a man whose wife was caught in that fatal second “tap,” shrieking as he picked up the pieces of his beloved and accompanied her to the morgue. This nightmare scenario replayed itself in November 2012, under eight days of Israeli bombing which killed 171 Palestinians. Not only did the army massacre more Palestinians, but it also wreaked havoc on the Strip’s infrastructure, again destroying key bridges, water and sewage lines, schools, a soccer stadium, health clinics and hospitals, and television stations, leaving Palestinians again to clean up the mess of Israel’s war games. 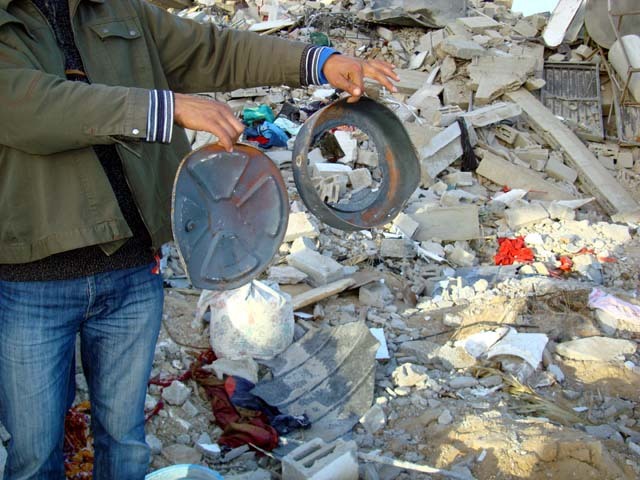 At the same time, Israeli authorities have restricted and now banned construction materials into Gaza, rendering the re-building of destroyed homes and buildings nearly impossible [see: Killing Before the Calm and The Flattening of Gaza]. 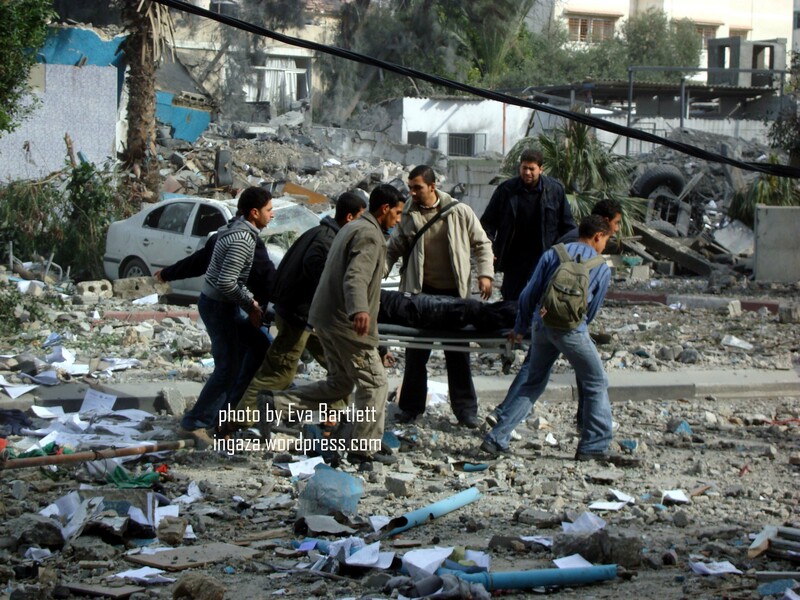 Even without the massacres and shootings, life is beyond unbearable in Gaza. 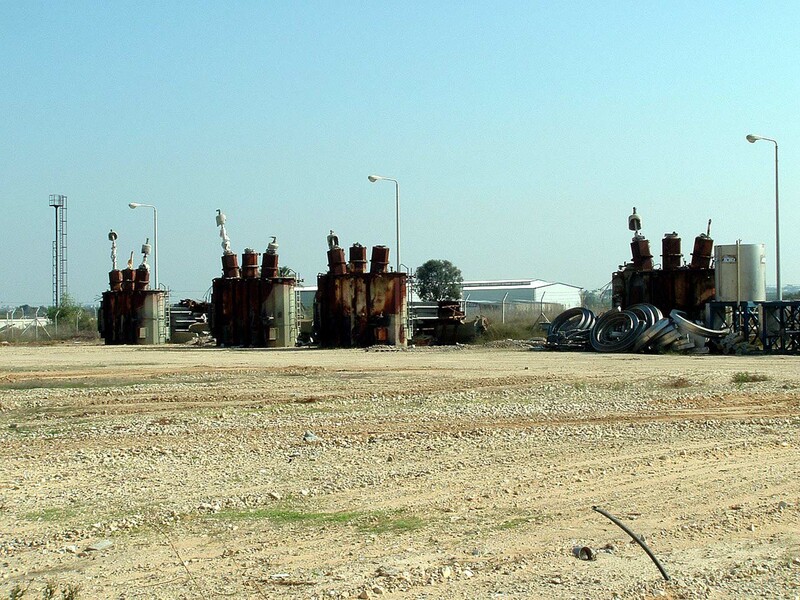 In 2006, Zionist warplanes bombed Gaza’s sole power plant, which then provided roughly half of the Strip’s energy needs. Since then, the ban on construction materials and replacement parts has meant that the plant has never fully been rehabilitated, the dearth of power causing rolling blackouts. In good times, power outages are only 6-8 hours long every day. Currently, with a fuel shortage generated both by the complicity of the Ramallah government and the bombing of the life-line tunnels between Gaza and Egypt, Gaza is so deficient in fuel to run it’s power plant that the power outages vary from 14-18 hours per day, on average. 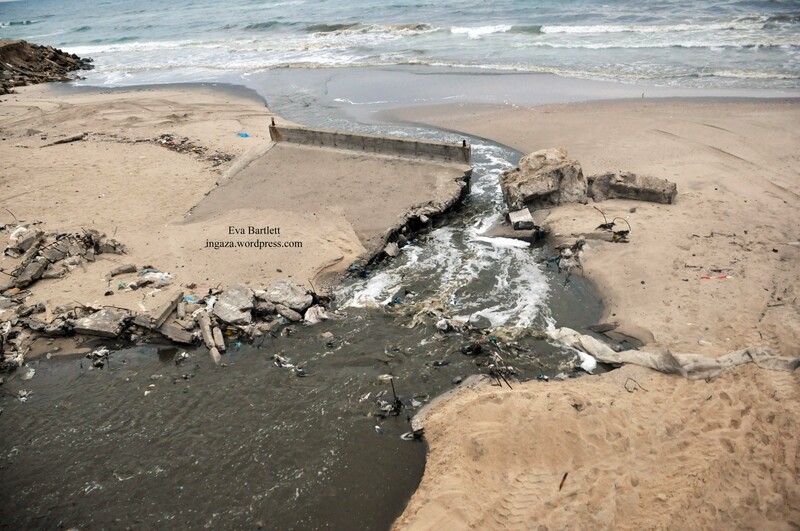 This dangerously impacts the health, sanitation, water, education, and industrial sectors. 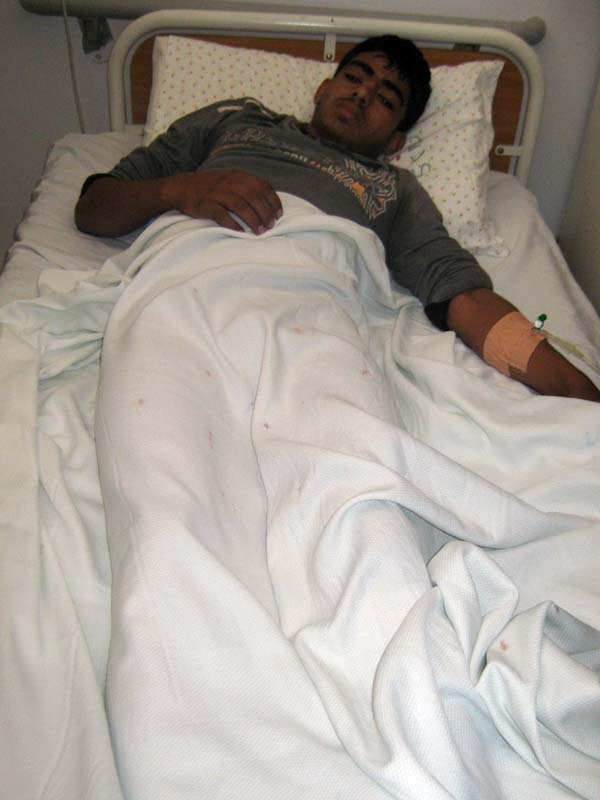 Hospital life-support equipment, operation rooms, ICUs, dialysis machines, refrigerators for plasma and medicines, and even simple hygienic laundering services are all affected [see: Israeli Siege on Gaza Causes Waste Crisis and Attack on Water Brings Sanitation Crisis]. I visited a few tunnels during my time in Gaza. Though some of the hundreds of tunnels running from Gaza to Egypt have been fortified and are large enough to bring in banned items, like vehicles, or even camels, the tunnels I saw were small, weakly-fortified in patches with wood planks, and over-lapping neighbouring tunnels side by side, one over another. 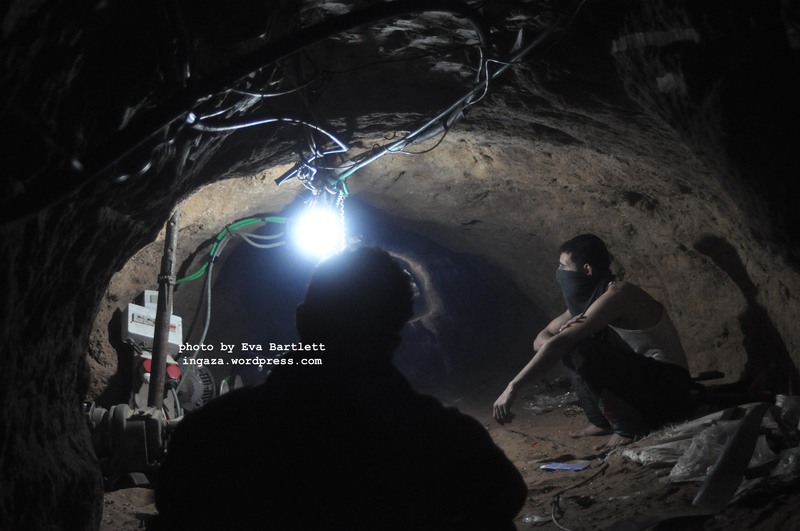 Those working in the tunnels are among Gaza’s desperately poor, working long, unbearably hot hours for a pittance, and always subject to the dangers of tunnel collapse, electrocution from poor wiring inside, or Zionist bombings. But the tunnels at least allowed into Gaza things banned or limited by the Zionist regime. In the years between 2008-2010, these banned items included random things like diapers, A4 paper, livestock, seeds, fertilizers, shoes, and pasta. The Israeli regime went as far as to calculate the minimum amount of calories needed to keep Palestinians not quite fully starving (see: Food Consumption in the Gaza Strip—Red Lines). Even after the lightening of some of these ridiculous restrictions, the tunnels were still critical to the import of adequate amounts of fuel and cooking gas. Damage to the coastal aquifer from over-extraction will be reversible in 2020 if no action is taken now, a 2012 UN report notes. 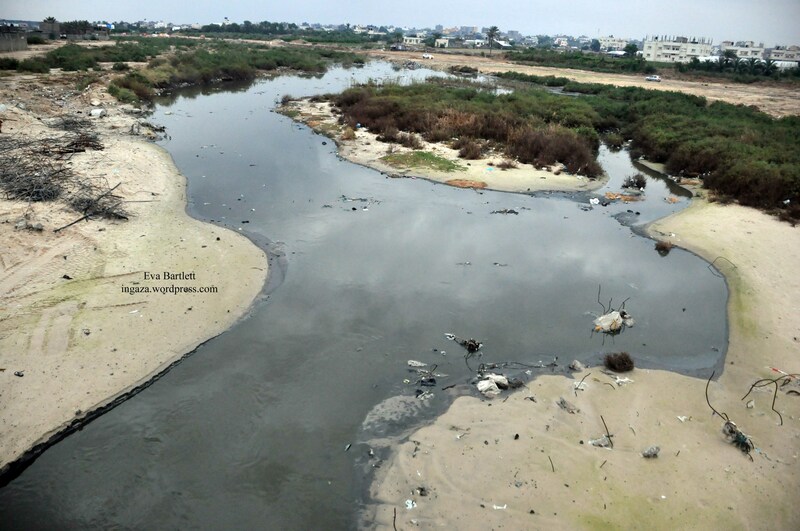 At the moment, 95% of water in Gaza is undrinkable according to WHO standards. The manufactured layers of crisis rendering life in Gaza utterly unbearable, and dangerous, have continued to escalate while at the same time, the media black-out on Gaza continues. 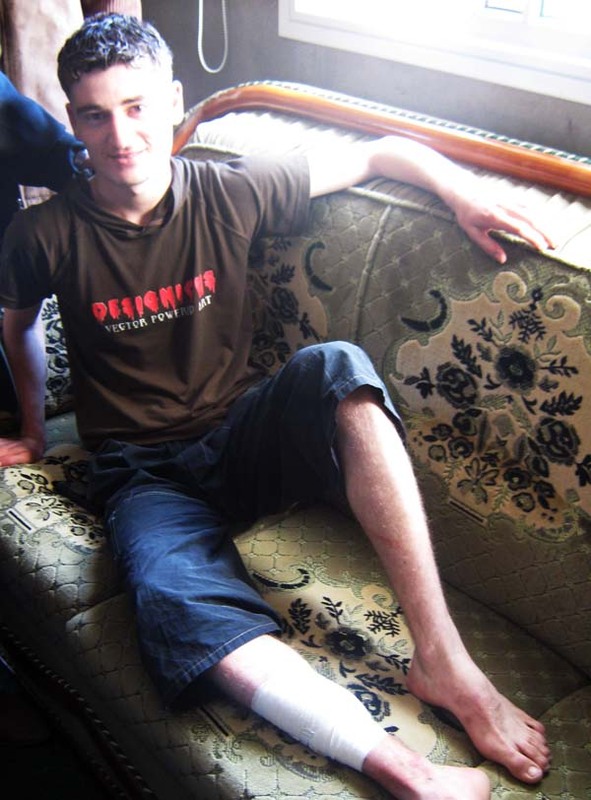 From my experiences in the Strip, including meetings with the different water, sanitation, health and agriculture officials, I learned that the current 80% dependence on food aid could be reversed, unemployment rates lowered, and a decent quality of life possible if, and only if, the blockade is lifted, exports and freedom of movement allowed, and Israeli attacks on farmers and fishers halted. Until then, and until world leaders, including Canada’s own, stop their blind support of the Zionist state and act to enforce the numerous UN resolutions affording justice to Palestinians, the suffering will only worsen. Thank you. The situation in Gaza is dire. Your report was very helpful. We do not see this on the front page news, or anywhere, as thorough as it can be put. Israel is the persecutor and has put a stranglehold on Gazans in cruel, consistent fashion. The U.S. has aided Israel in it’s cognitive dissonance and unreserved quest for land theft in Palestine and Gaza Strip. U.S. Aid must stop. peace talks with Americans involved is used a s a delay tactic by Netanyahu and the Zionist regime. “Security” concerns are extraneous to the central problem: Israeli military occupation and dominance, at the expense of American taxpayers and America’s children and families. Other countries need and deserve help, not Israel, who has used billions for decades to build up one of the most powerful military system in the region, at least, if not in the world, paid for in U.S.$. Free Gaza and boycott Israel. Sanctions would cut the arrogance, somewhat. Ending U.S. ‘aid’ would not undo the damage already done in being complicit to decades of Israeli terrorist regime control, but make Israel stand on it’s own and decide to make some real decisions, instead of continuing to expand and build settlements to gain territory and agricultural lands and resources for it’s own self interest!, robbing it from rightful inhabitants. 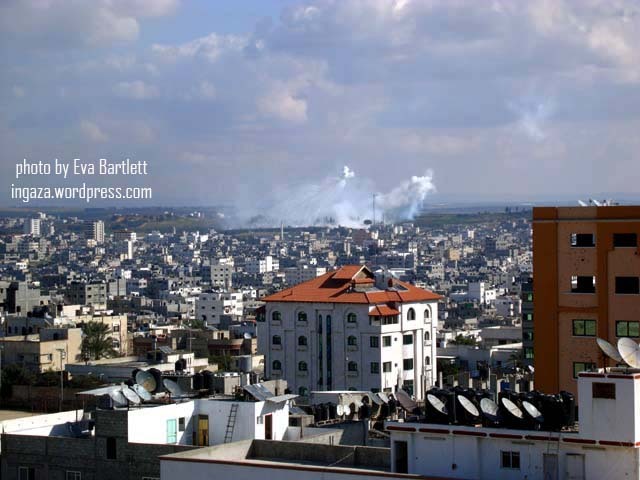 Eva Bartlett: I can’t believe Gaza is only 365 square meters in area…..that’s roughly the size of my residential LOT. the only way 1.7 million Palestinians can fit into 365 square meters is if they were all the size of ANTS…….. Think this is the same Eva Bartlett who has reportrd from Syria. 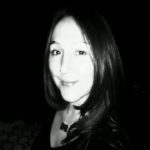 Would that we all had her courage and the guts and oppirtunity to follow her conscience as Eva Bartlett has. 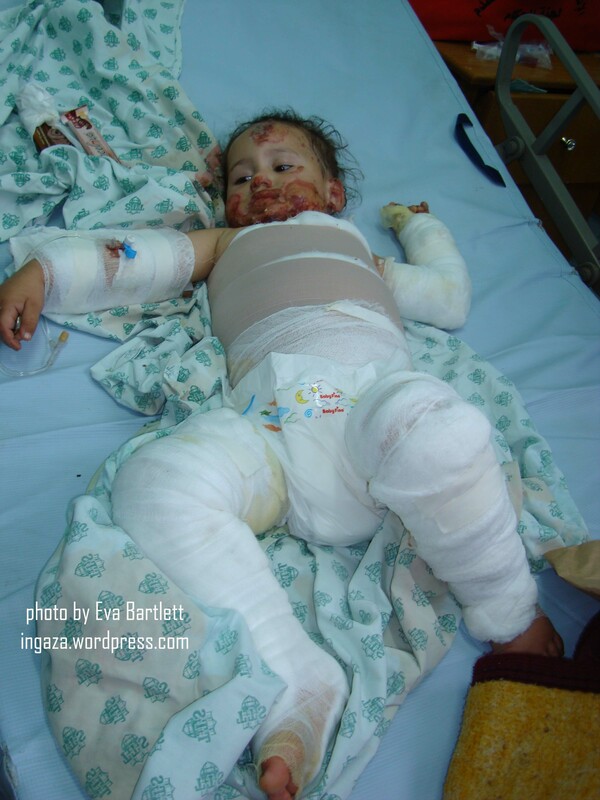 After all this, any Gazan survivor, will be be the strongest people on Earth. The Zionist are trainning their own strongest enemies.